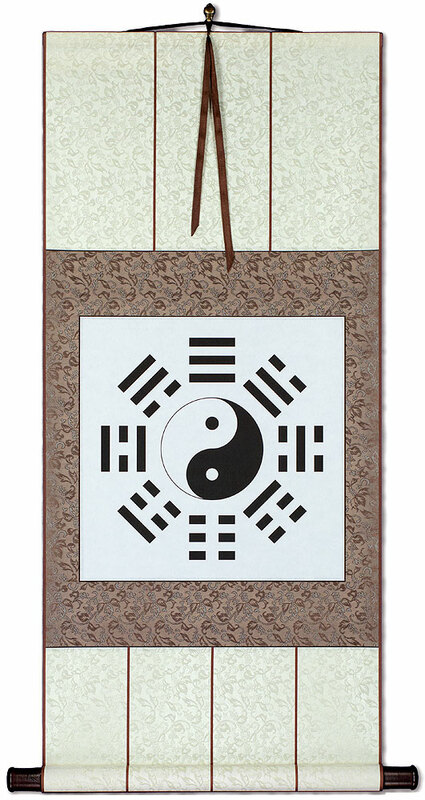 Artwork Panel: 33.2cm x 33.1cm ≈ 13" x 13"
Silk/Brocade: 42.2cm x 94.6cm ≈ 16½" x 37¼"
This is a print of the famous Daoist/Taoist Yin Yang symbol surrounded by the Ba Gua. 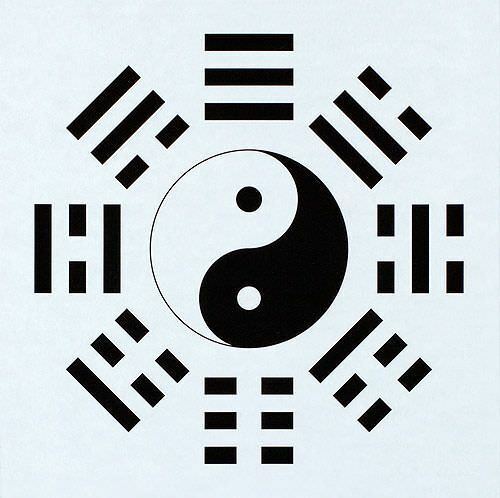 The Ba Gua is a Chinese religious motif consisting of eight trigrams of the I Ching. 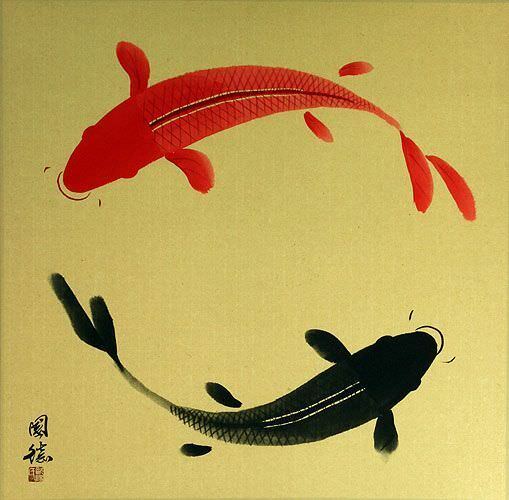 It's also seen in Japan, Korea, and elsewhere in Asia. 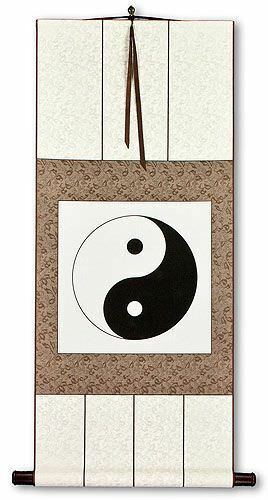 The Ba Gua is also used in feng shui where it is the pattern that helps determine the significance and auspicious qualities of spatial relationships. 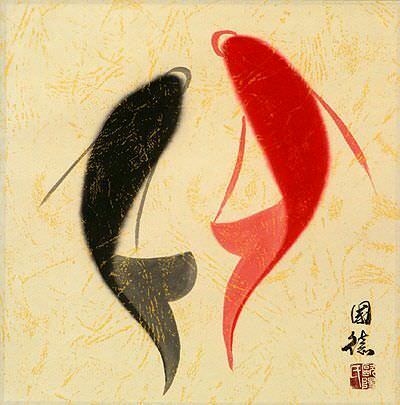 This Ba Gua and Yin Yang is printed on handmade Japanese Unryu Kozo paper. There are some vivid white fibers in the paper that give this a distinct look (though hard to see in the images on this page). The artwork is mounted as a handmade two-tone silk brocade wall scroll. 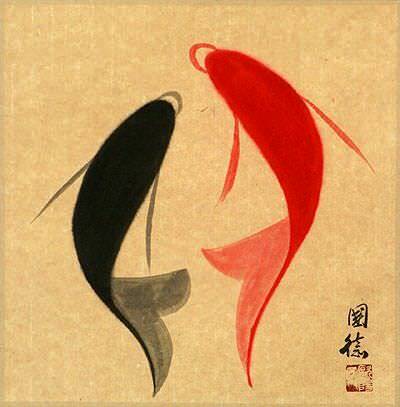 The result is a beautiful and elegant presentation of the legendary Yin Yang surrounded by the Ba Gua. 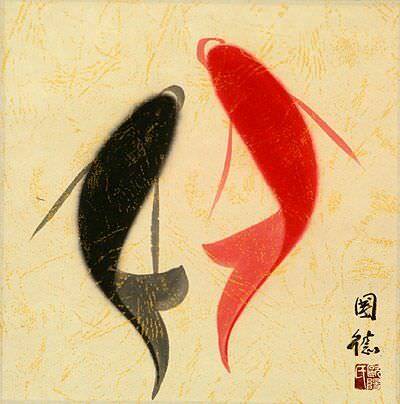 The print was created on a fine art Giclee printer using U.V. inks designed to last 90 years if you do not hang this in direct sunlight. The fine lines and complex geometry would make it impractical to paint this artwork by hand - so a giclee print is the way to go.